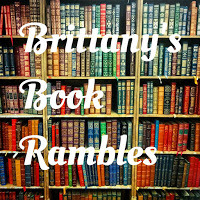 Brittany is a self-proclaimed bookworm and excessive rambler. She is shameless in her love of the written word. No matter where she is, most of the time you can find at least one book in her purse. She is an aspiring author and hopes to one day to break into the publishing world. Her all-time favorite author is Leigh Bardugo, and she will read and buy anything and everything that she writes. 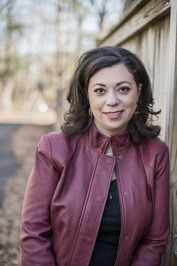 She is the host of the Twitter feature #BBTC, Queen Book Pusher, Captain of the Tsar's Guard, and has been known to spontaneously turn into a pirate. Sabrina: **Stands up to shake hands** Hello Brittany! 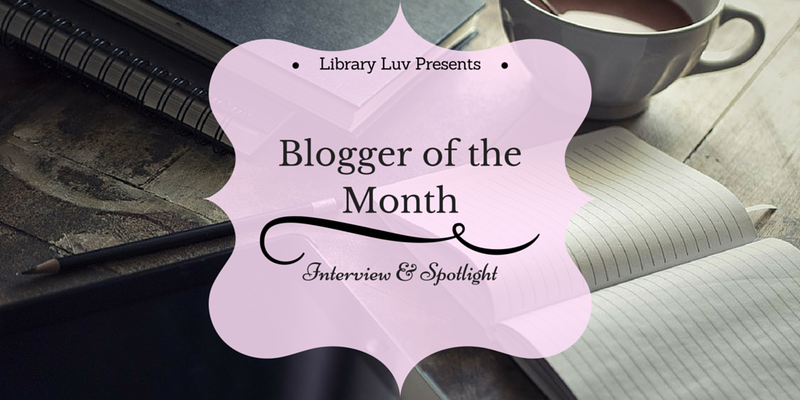 It is a so awesome to have you as my May blogger of the month! Brittany: I think anyone who knows me knows that I am HUGE Grisha fan. I mean, basically I’ll push any and all of Leigh Bardugo’s books on everyone! Honestly, my interests are all over the place. I love books, obviously, especially YA fantasy which is also my favorite genre to write. I also love hockey, my teams are the New Jersey Devils and the Minnesota Wild. I’m a big movie fan and I love anime haha. Brittany: I wanted to become part of the book community. Before blogging, I didn’t know many people who really enjoyed reading. Most of my family is from the former Soviet Union and they read the classics and a lot of non-fiction, and that’s generally what they consider good reading. Everything else is just “fluff.” So, I really wanted to connect with other people who like the same books as I do, so that I could have people to fangirl over them with. Brittany: Honestly, I love writing reviews. I know that’s really boring but like I said before, I love talking to people about the books that I’ve read and seeing what they think. My favorite thing when I write a review is when people say that I’ve made them want to read the book, that makes me so happy. Sabrina: Where did the idea of your twitter chat BBTC come from and how long ago did it start? Brittany: The idea of #BBTC has been in my head for about 2 years but I only launched it this last January. I love Twitter Chats and my favorite questions were always about what books we were reading or the ones that had something to do with specific aspects of books. After attending a few chats, I noticed that there were no chats that were specifically about books, and I wanted to change that. I did a couple of book-themed chats with friends, one for Six of Crows by Leigh Bardugo (#SixofCrowsParty) and a chat for Penguin Random House with my book club (#RReaders) for I’ll Give You The Sun by Jandy Nelson. For me, those were try-out chats for #BBTC and through those, I became more confidant that #BBTC was a good idea. Brittany: About 3ish years or so. My first official review on Brittany’s Book Rambles was of Lauren Oliver’s Requiem, and I posted it at the end of December 2012. Sabrina: What is it about Leigh Bardugo writing that makes you such a diehard fan? Sabrina: How exciting is it to be the head of the Tsar Guard for Evelyn Skye’s book The Crown’s Game? Brittany: Oh my god, it’s so exciting! I thought I was going to faint when Evelyn dubbed me Captain of the Guard. I was actually at a launch party for Truthwitch and Passenger at Books of Wonder when Evelyn DMed me and asked if I would like to be Captain. I flipped out, but the event had just started so I had to flail quietly—it was hard haha. Brittany: I figure skate. I don’t know if it’s really a hidden talent or not, but I love it. I also can play the flute and the piccolo, though not as well as I used to. Sabrina: It’s been super fun interviewing you Brittany! Thank you for sitting down with me today and giving us some insights on you and your blogging. I can’t wait for the next BBTC, and all the fun chats we have over on twitter. Brittany: Thank you for having me! With that, this concludes the my second blogger of the month. It has been a great pleasure getting to know all these bloggers even better. Make sure to check out Brittany's blog, or chat with her during one of her twitter chats. I love #BBTC chats! Sometimes I am too tired to comment, but I still follow along and hit the heart frequently. I really like learning about the blogger behind the blog. Great interview!